In Japan, scientists have created a new tool that many believe will help prevent tooth decay in the future. They call it the “tooth patch,” an ultra-flexible biocompatible film that scientists have designed to fit snugly over the surface of teeth. The film is made entirely of hydroxyapatite, the natural mineral from which tooth enamel is made. The developers of the tooth patch hope that it’s enamel-like composition will make it an effective shield to prevent tooth decay, as well as a restorative material that can be used to repair teeth with pre-existing cavities or dental caries. “Dentists used to think an all-apatite sheet was just a dream,” recalls Shigeki Hontsu, professor at Kinki University’s Faculty of Biology-Oriented Science and Technology. Today, that dream is very close to becoming a reality. Prevention of Tooth Decay: The patch is made entirely of hydroxyapatite, the chief mineral in tooth enamel. Reduce Overall Tooth Sensitivity: Patches may be used to insulate rows of teeth that are particularly sensitive to hot or cold temperatures. Teeth Whitening: Tooth patch can be whitened to reduce the appearance of stained and discolored teeth. New research published by the U.S. Center for Disease Control (CDC) indicates that tooth decay is a serious problem among both children and adults. A reported 29% of adult males have untreated tooth decay, with adult females trailing closely at 25% (i). Numbers for children ages 2-11 are remarkably similar, with untreated tooth decay prevalent among 24% of boys and 21% of girls (ii). With tooth decay going untreated in nearly 1 out of 5 Americans, larger health concerns loom. For one, tooth decay breeds oral bacteria that may eventually infect the gums and cause Periodontitis, or gum disease. In turn, health experts believe gum disease may lead to a series of subsequent health issues. A number of studies show that gum disease may elevate the risk of developing heart disease, diabetes, and may even cause stroke. Most recently, the link between gum disease and other serious ailments has gained media attention as researchers at Brown University identified a strong correlation between Periodontitis and pancreatic cancer—one of the most elusive and fatal cancers known (iii). Traditionally, people have relied on a two-pronged approach to prevent tooth decay: Eat a well balanced diet, and practice good oral hygiene. 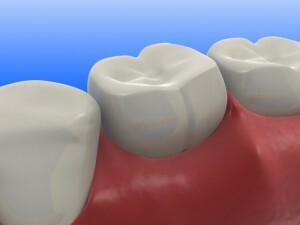 When cavity forms, however, the body cannot regenerate the amount of enamel that is lost. In this light, it is easy to see why Prof. Hontsu’s team, as well as the international dental community, is excited with the development of the Japanese tooth patch. The patch has the potential to not only prevent cavities, but to restore lost enamel with man-made hydroxyapatite as well. (i) “Oral Hygiene Statistics.” Statistic Brain. www.statisticbrain.com. (ii) “Trends in Oral Health Status: United States, 1988-1994 and 1999-2004.” Vital and Health Statistics. April 2007. Pg. 32. (iii) O’Connor, Anahad. “Gum Disease and Detecting Pancreatic Cancer.” The New York Times, Herald-Tribune. Heraldtribune.com.